Start with trust. Research the company’s BBB Business Profile – and customer reviews. Visit the company’s website or LinkedIn page: Doing this can help you learn where the company is located, how they hire job seekers, what people have to say about the business, what the office culture is like, their business practices, accomplishments and other information which may prove useful in a job interview. Contact the company directly: Ask to speak to the person who does the hiring (find out their name and title). Calling the company also shows initiative and could give one an extra edge when it comes to landing the job. Be leery of postings with grammar or spelling errors: Such errors are often a sign the job isn’t legitimate. Personal financial information is required: Never give out your financial information such as your credit card number, bank account number, Social Security number, to someone you don’t know – especially if it’s online. Upfront payment: If they request that you pay an upfront fee prior to employment, stop. A legitimate job offer will never require payment upfront. Failure to answer basic questions: The potential employer hesitates to answer general questions about the job – If the person interviewing you is vague or dodges questions about what the company does or what type of work you’ll be doing, be cautious. Promises of huge salaries with minimal effort: This could be a sign of a “work at home” or pyramid scheme. Remember, if everyone could make good money working from home, everyone would do it. And pyramid schemes are illegal and not sustainable over time. Reshipping Positions: Scammers sometimes enlist unwitting job seekers to help them send merchandise – paid for with stolen credit cards – out of the country. These operations are illegal and you do not want to be a part of them. Mystery shopping jobs: Though there are legitimate mystery shipping companies, there are many bogus entities that send consumers counterfeit checks, asking them to cash them, spend money at various stores and then wire back funds, keeping a small portion of the funds as payment. However, these checks bounce, leaving consumers deeper in debt. Remember, at best, mystery shopping provides supplemental income. Besides asking the applicant for money, scam postings tend to include errors in grammar and spelling, points out Challenger. “Most companies use language which has been proofread and approved by multiple departments, such as legal and marketing, before job ads are posted,” he said. There are additional scams, such as in the creative field. In this case, a person will create a fake project, and ask for the creative professional to submit work samples without ever meeting in person. This could very well be a creative professional looking to steal these samples, or ideas, and use for their own benefit or gain. For example, they could be collecting a large number of samples to show in a presentation, and take credit for them. They then only respond back to the job seeker stating “sorry, but we have decided to go in another direction” and the job seeker wasted time applying for the fake job, they also had their creative ideas stolen. When working with recruiters, get the name of the organizations they are sending your resume to and for what specific role before sending, says Mazzullo. This way you can do your own homework and research. And when applying for jobs online, always try to find a mutual connection at the company for which you applied. “If it’s too good too be true, it probably is,” says Mattson. 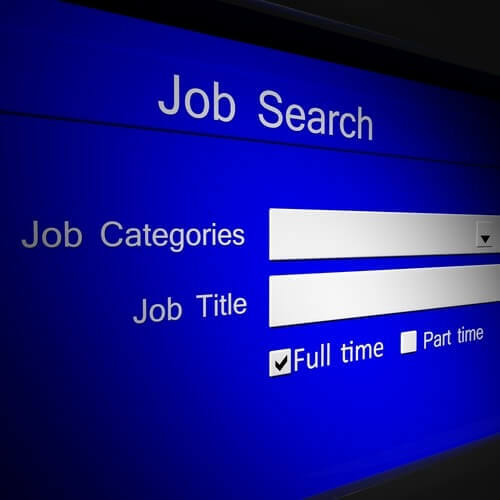 Want to ensure you conduct a safe and secure job search? Then stay connected to College Recruiter. Start by registering with College Recruiter to have job alerts emailed to you. Then visit our blog, and connect with us on LinkedIn, Twitter, Facebook, and YouTube.